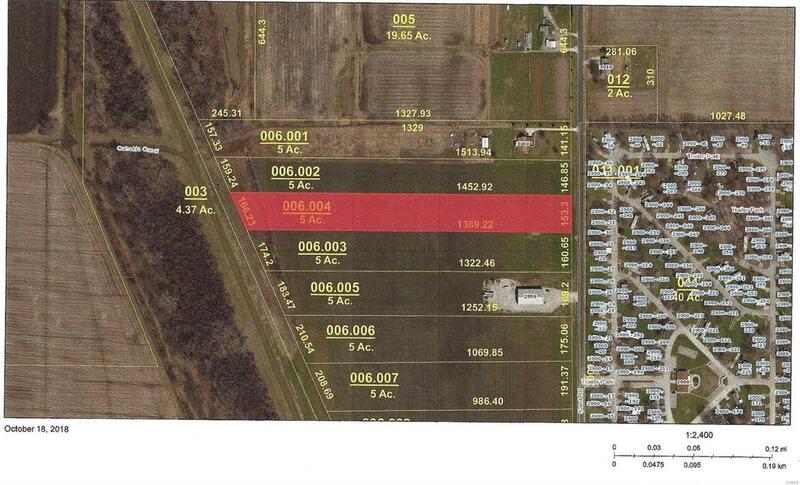 Check out this 5 acres of tillable farm land on Sand Road in Edwardsville. Just minutes from interstates and adjacent to Gateway Commerce Center. Utilities available at the road (sewer, water and electric) at buyer expense. Zoned agricultural but could be suitable for commercial, etc., with proper zoning. Agent Interest.